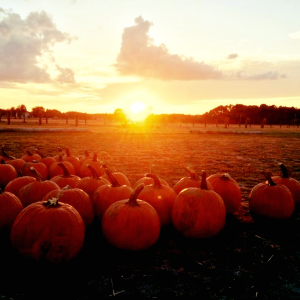 During the month of October, our farm really comes alive! Take a leisurely ride on one of our hay wagons. Along the way we stop at our pumpkin patch where everyone is welcome to search the field looking for their perfect pumpkin to bring home with them. the pumpkin is included in your hayride price. No extra fees at the end of our hayrides for the cost of the pumpkin! Legend has it that the first farmer in this rural part of Galloway Twp have disappeared with no trace during the time of a harvest moon centuries ago. Ever since, the locals have said they hear mysterious howls and screams of that missing farmer. Enter if you dare, the same cornfield where his tortured soul still is known to roam the land and the creatures that took him anxious to hunt again. Every step into the field take you closer to that frightful time. Whether you escape or not depends on how fast you can run. This could very well be your worst nightmare. Come out to the scariest attraction in Atlantic County. We promise to scare the pants off of you or at least make you run out of your shoes! We have taken pallet wood and turned it into beautiful signs that you would love to have hanging in your home. They also make for perfect gifts to family and friends. We can do special orders upon request. We will post the personalized signs in a few weeks.